WATERFORD — Internet radio is far from a new concept, but it’s growing. NetRadio is credited with the concept of web-based audio when it started broadcasting back in 1995. That’s when a network of four different formats out of Eden Prairie, Minnesota took to the “world wide web” through the program RealAudio. With most audiences consuming data at 56 kilobits per second, reception was spotty. Compared with today’s tech, the sound quality left something to be desired after overcoming several minutes of buffering. Flash forward 20 years, Forbes proclaimed the medium as the next marketing boon with the screaming headline, “Why Internet Radio is The Biggest Advertising Opportunity of The Future.” By now, audio streaming services like Spotify have had the largest influence upon the music industry since college kids pirated Limp Bizkit songs off Napster. The ubiquitous presence of iPods have stepped aside to smartphones, unlimited data packages and bluetooth. Auto manufacturers don’t roll out cars with CD players anymore, because everyone streams music. According to a Pew Research Center survey, nearly half of Americans (44 percent) listen to internet radio in a car through their phone. 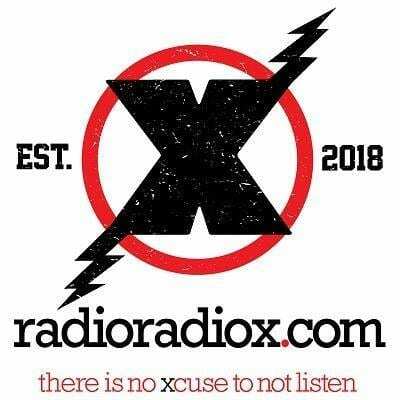 Art Fredette, of RadioRadioX.com, is banking on the belief listeners will turn on and tune in to his newly launched internet radio station. It’s a continuation of the “X” brand that disappeared when 106.1 WAIX-FM dropped off the air in May. Fredette was both a sales representative and program director for the station. Now, as we sit inside his Waterford studio, he continues to wear multiple hats to jump start his new station. “You are literally looking at the entire staff,” he said. When The X was taken off the air in May, people responded. The station’s social media channels were bombarded with angry listeners who wanted it back on the air. “Everything was taking off, and then it was all taken away,” said Renna. “Artie asked me to bring [Shuffle] back, and I volunteered.” Renna will return as an on-air personality in the coming weeks. It’s a Collar City contingent among the three personalities, so far. Barrett’s radio show had a 50-year run before WAIX went off the air. Outside the show, he runs The Beat Shop record store on Troy’s River Street. Renna has long been advocate for Troy’s heavy metal scene in addition to acting as the frontman for Let Go Daylight and The Otherside.